Hilarious Knock Knock Joke Book for Kids! Are you looking for a fun book to keep the kids entertained and happy? This funny joke book for kids is excellent for early and beginning readers. Laughing and jokes have been proven to have positive mental and physical effects on the body! This books is especially great for long trips, waiting rooms, and reading aloud at home. 100+ knock knock funny jokes Excellent for early and beginner readers Hours of fun and entertainment for kids and children Great for long trips, waiting rooms, and reading aloud Funny and hilarious knock knock jokes for children of all ages, teens, and adults BONUS INCLUDED ==> FREE Joke Book Download 101 Funny Jokes (see link inside) Download a free joke book with purchase of this book! From this Funny Knock Knock Joke Book... Knock knock!Who’s there?Tullos!Tullos who?Tullos all your secrets! LOL! Knock knock!Who’s there?Amy!Amy who?I’m always Amy for the top! HAHA! Knock knock!Who’s there?Yule!Yule who?Yule never guess! LOL! Knock knock!Who’s there?Juno!Juno who?Juno how long I’ve been knocking on this door? HAHA! Knock knock!Who’s there?Allison!Allison who?Allison to the radio every morning! Best-Selling Author ~ Johnny B. 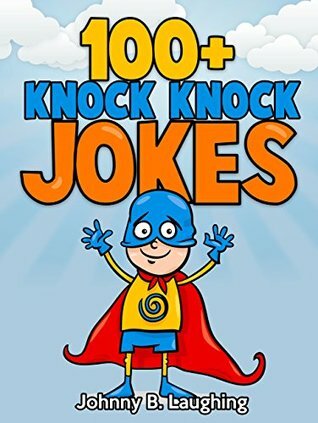 Laughing The Joke King is back with another hilarious joke book full of funny, laugh-out-loud, crazy comedy and MASSIVE assortment of knock knock jokes for children of all ages, teens, and adults. This awesome joke book for kids is easy to read and full of laughs!WARNING: This funny joke book will cause you to laugh hysterically! Best book ever it was hillarousBest book ever I thought it was hilarious I also loved all the jokes even the science one. Thanks for making the book. Knock knockWho's there?Accordin According who?According to the TV it is supost to rain.This fun book will have you laughing till you can't breathe.Some of them you will need explaining to, but they are very funny. Neither me nor my kids (boys, 5 and 9) found the jokes funny. I even tried saying them in a "you think this should be funny" voice. Zero laughs were produced, but this could just be that we have a different sense of humor. Young kids will enjoy these.Easy to read and understand. Clear font. No illustrations inside. There was an offer of another free download inside. The book was a reasonable length for a short activity booklet. My children love these little books. They thoroughly enjoy each and every story, as if they are all unique and individual without any cause for similarity among them. Even though sometimes, they might seem tedious and repetitive to me as a parent, I do enjoy being able to read short-stories to my children that are clean and respective. Very Funny😂😂I love this book and a lot of these are just hilarious but, there are some downs, a lot of them are just play on words. My Son and I loved this!!! Very funny here are 3 reasons why1).my kid Lucy I told her a joke (whale she was drinking milk) and the mink came out of her nose2).my dad in law said this is a good book3).please get it! Ok readIt was ok but just was not my cup of tea . I have heard some of the same jokes told different way that sounded better.